Axel Scheffler: "I was surprised by the initial success of the book - I hadn't expected it while I was working on the illustrations." 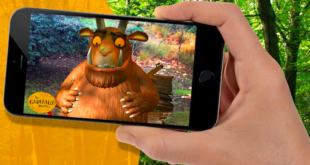 The Gruffalo is celebrating its 15th anniversary this year, and despite being a hit around the world, its creators had no inkling that it would reach the heights it has. 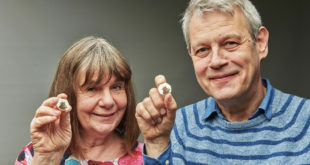 The book, written by former Children’s Laureate Julia Donaldson with illustrations by Axel Scheffler, has sold 13 million copies, and since it launched, Donaldson and Scheffler have joined forces on The Gruffalo’s Child and Room on the Broom. While The Gruffalo has become an iconic character in the world of children’s publishing, the book actually started life focusing on a tiger. "The book was going to be about a tiger but I couldn’t get anything to rhyme with “tiger”," says Donaldson. "Then I thought up the lines: “Silly old Fox, doesn’t he know/There’s no such thing as a ……” and somehow the word “gruffalo” came to mind to fill the gap. "The Gruffalo looks the way he does because various things that just happened to rhyme (like toes and nose, and black and back)." And due to the success of picture books which didn’t rely on rhyme in the late Nineties, Donaldson was unsure of the reception The Gruffalo would get. "At that time a lot of picture books were more along the lines of “Guess How Much I Love You” so I didn’t know how people would look upon a rhyming adventure story," adds Donaldson. And why did it become so popular? Donaldson remains coy. "I think you should ask the readers," says Donaldson. "I often get asked that but I feel it’s a bit like asking an archer what it feels like to be shot by an arrow." Illustrator Axel Scheffler was just as suprised by the success of the book. "I was less surprised [by the recent success of the brand] as the books had already sold millions of copies," says Scheffler. "I was however surprised by the initial success of the book – I hadn’t expected it while I was working on the illustrations. "I think the appeal [of the brand] is entirely based on the success of the books and then later the film animation, which gave the character another boost." 15 years down the line, and a range of products have been launched based on the duo’s creation, and both Donaldson and Scheffler are pleased with where the brand is going. "I think on the whole they are well-designed and I’m glad they feature Axel’s drawings rather than stills from the films, much as I like the films," adds Donaldson. "I always look forward to receiving my box of Gruffalo goodies every six weeks or so, and it’s nice to be able to give things to friends and family, not to mention the window-cleaner, the delivery man, the photographer etc etc." Scheffler adds: "My favourite products are the soft toys." When the licensing programme first started, both Donaldson and Scheffler took an active role in the creation of products. Now the programme is thriving, both have taken a step back from this side of the property. Scheffler says: "Early on, I was very involved in helping put together the style guide and created new artwork, some character poses and the overall branding and logos. "My involvement is less now, although I do occasionally contribute some extra drawings, like for the 15th Anniversary Logo or events like Eden Project." Donaldson adds: "Initially [I had] a lot [of involvement], as it was important at the start that Axel and I were happy with the Style Guide and the type of designs. "Nowadays I don’t really have any involvement. It would all be too time-consuming." Although the range of products is largely based on Scheffler’s drawings, he believes that illustrators should not be thinking of the product potential when working on children’s books. "It’s important to ensure that the story and illustrations are appealing and fun in their own right, if something more comes later on then I hope that connects children back to the book they can from," says Scheffler. 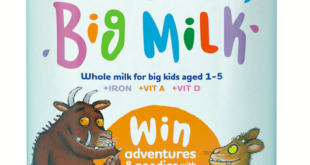 More than decade since The Gruffalo launched, Donaldson believes children’s publishing is in a good place, even if the media attempts to say otherwise. "I have read that one book in three bought last year was as children’s book," Donaldson tells Licensing.biz. "That’s great, and I wish that the number of reviews of children’s books in the press, radio and TV would reflect this."